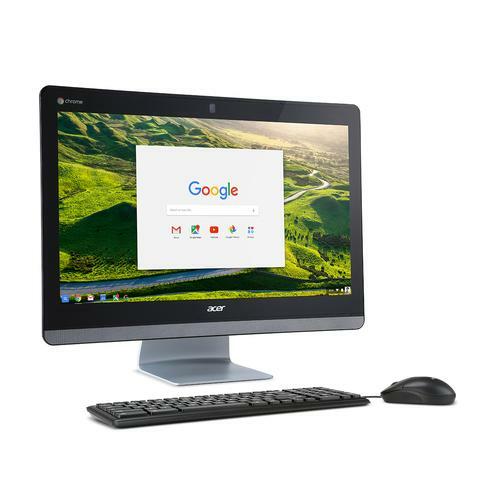 Acer has launched the world’s first Chromebase all‐in‐one desktop with Intel processors at CES 2016 in Las Vegas. The Acer Chromebase 24 features the largest screen of all Chrome OS devices on the market, a 23.8‐inch Full HD (1920 x 1080) In-plane switching (IPS) display. Utilising Intel Core processors, the Chromebase 24 also includes up to 8GB of DDR3L memory, 802.11ac wireless or Gigabit Ethernet. Acer said the Chromebase 24 is ideal for the video conferencing space as it includes four digital microphones, and an adjustable HD webcam. All data stored on the Chromebase or in the Cloud are encrypted and protected by its Trusted Platform Module (TPM) 1.2 chip, which securely generates and stores cryptographic keys. Australian pricing and availability was not available at the time of writing.